God Is Faithful !, a photo by dangerous_minds on Flickr. Encouragement with morning coffee ! 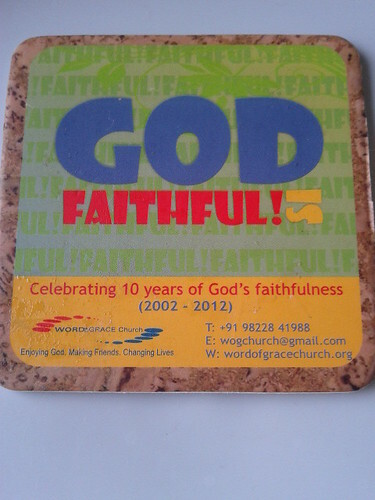 Credits : Coaster was designed by Navaz D'cruz for 10 years of God's Faithfulness.